Annie Dobbs-Kramer ‘11 – Annie is a community organizer with the North Bay Organizing Project in Sonoma County, California. She has been organizing for the last 9 years. Her work centers on the intersection between environmental and social justice organizing to build deep democracy in our communities. The main focus of her organizing is creating space for women to empower themselves. 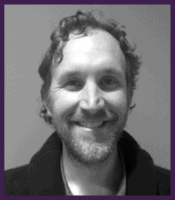 Brock Dolman – Brock co-directs the WATER Institute, Permaculture Design Program and Wildlands Program at Occidental Arts and Ecology Center. He has taught Permaculture and consulted on regenerative project design and implementation internationally in Costa Rica, Ecuador, U.S. Virgin Islands, Spain, Brazil, China, Canada, Zimbabwe, Tanzania, Democratic Republic of Congo, Cuba and widely in the U.S. He has been the keynote presenter at numerous conferences and was featured in the award-winning films The 11th Hour by Leonardo DiCaprio, The Call of Life by Species Alliance, and Permaculture: A Quiet Revolution by Vanessa Shultz. In October of 2012, he gave a City 2.0 TEDx talk. Brock completed his BA in the Biology and Environmental Studies departments at the University of California Santa Cruz in 1992, graduating with honors. For over a decade, he has served as an appointed commissioner on the Sonoma County Fish & Wildlife Commission. Deborah Dalton – The Program Director of Mentor Me, Deborah focuses on advocacy and intervention teams for juvenile offenders, substance abusers and homeless youth in Petaluma. She is a mentor to many young people as well as many of her peers. Deeply rooted in her community both personally and professionally, Deborah sits on various local and county committees, including Health Action Chapters, UPstream Investments, and the Juvenile Justice Coordinating Council of Sonoma County. 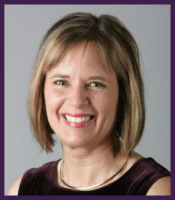 Deborah completed her general education at Santa Rosa Junior College and earned a Bachelor’s Degree in English from Sonoma State University while working full-time. She is a native Californian and first-generation college graduate. Elizabeth ’14 and Paul Kaiser ’07 – At Singing Frogs Farm, Elizabeth and Paul have applied their unique backgrounds in farming, nutrition, public health and agroforestry to develop a highly intensive, no-till, ecological management system for their small but mighty vegetable farm and CSA. They do not use pesticide/herbicide/fungicide (organic or otherwise), instead relying on natural compost to fertilize. Their techniques bring tremendous benefit to the soil, increasing yield and improving the natural ecology. 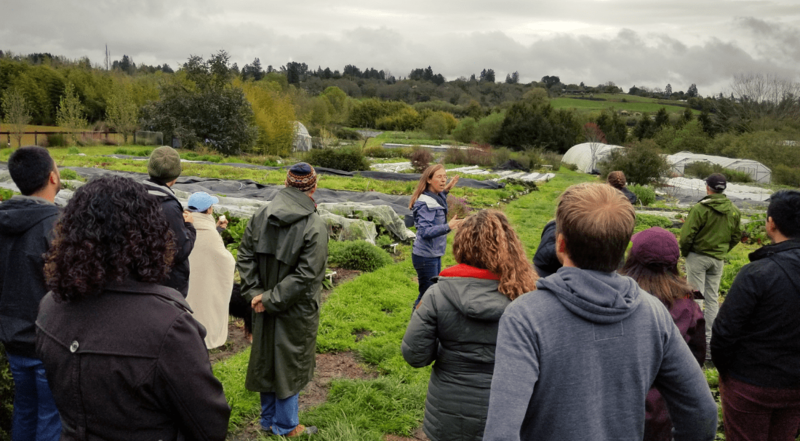 The Kaisers grow over 100 different crops year-round on 3 acres, a third of which goes to their 130-member CSA and two-thirds to various farmers’ markets, restaurants and a local food hub. 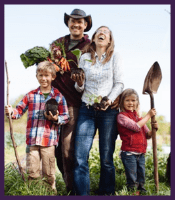 Their method of farming has resulted in an increase of over 300% in their soil organic matter, while drastically reducing their water use, and generates over $100,000 per acre in sales. They are also a certified Bee Friendly Farm! 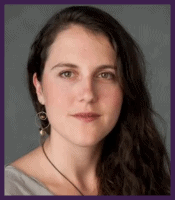 Erin Axelrod ’06 – Erin is a problem-solver, systems-designer, entrepreneur and community organizer. She received her Permaculture Design Certificate with Toby Hemenway and is a contributing author to the Fibershed Project’s Economic Feasibility study to implement a bioregional-scale regenerative textile mill in CA. Her consulting with LIFT Economy has led her to a specialization in accelerating the spread of climate-benefitting and land-based businesses in the Next Economy. She does this through a range of initiatives including client work with companies like North Coast Brewing Company, Kendall Jackson and Singing Frogs Farm, among others. She also convenes LIFT Economy’s regenerative agriculture investor network (RAIN) and a Restorative Ocean Economies Field-Building Initiative. Erin lives and works on a Grass-fed beef and Land Restoration Project, Freestone Ranch, just outside of her hometown of Petaluma. Evan Wiig ’16 – Evan is a community organizer with a passion for sustainable agriculture and local food systems. He is the Director of Membership and Communications for the Community Alliance of Family Farmers. 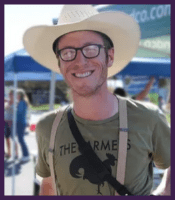 From California cattle ranches to community gardens in the heart of Brooklyn, Evan has spent nearly a decade mucking chicken coops, reviving his local Grange hall, writing journalism on issues of food and agriculture and in 2011 founded the Farmers Guild. He currently represents the 5th District on the Advisory Committee to Sonoma County Ag + Open Space, the Sustainable Agriculture Advisory Boards for both the SRJC and College of Marin, sits on the Sonoma County Food Systems Alliance and represents the 5th District on the Sonoma County Democratic Party central committee. Joseph McIntyre ‘06 – Joseph is a systems change facilitator who has worked with groups across North America to uncover and release the potential for positive change. Joseph splits his time between a private consulting practice, 10 Circles, which focuses primarily on the development of systems leaders with a particular focus on leadership for social justice, and Ag Innovations, a non-profit organization dedicated to promoting a sustainable food system. 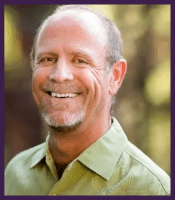 Joseph is a co-founder of the Academy for Systems Change, which is a global project to expand capacity for deep systems change, the Sonoma County Food Systems Alliance, and a member of the Board at Daily Acts. Joseph is a long-time Sonoma County resident living in the Atascadero watershed and a lover of poetry, friendship, and summer tomatoes. Juan Hernandez & Veronica Vences – Executive Director and Associate Executive Director, La Luz Center. Kevin Bayuk – Kevin works at the intersection of ecology and economy, where permaculture design meets cooperative organizations intent on meeting human needs while enhancing the conditions conducive to all life. He is a partner with LIFT Economy, accelerating social enterprises and facilitating investment into highly beneficial impact organizations. He is a Senior Fellow for Financial Modeling for Project Drawdown. 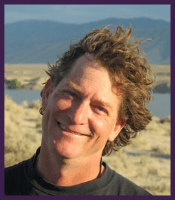 He also frequently facilitates classes and workshops, speaks, and provides one-on-one mentoring as a founding partner of the Urban Permaculture Institute San Francisco. Kevin’s clients include industry leaders and startups in: conservation hydrology landscape stewardship, bioplastics, compost, urban planning, diversified renewable energy, energy efficiency, and early-stage impact investment. Having co-founded projects as diverse as enterprise communications management software and urban farming food security gardens, Kevin is as fluent with information technology as with perennial polyculture agroforestry. Letitia Hanke – CEO and President, ARS Roofing, Gutters and Waterproofing. Founder, LIME Foundation. 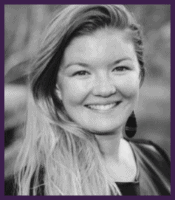 Lois Fisher ’14 – Lois is the president of Fisher Town Design and an Urban Designer. Her firm specializes in designing and zoning for walkable downtowns and neighborhoods as an alternative to suburban sprawl. Her Theatre district project in downtown Petaluma is a very successful urban design redevelopment project. She just completed a design and code for a downtown in Rohnert Park. Lois Fisher served for many years on the Planning Commission for Windsor, helping to spearhead the development of the downtown there and is an adjunct faculty member at Sonoma State University where she teaches Urban Design. 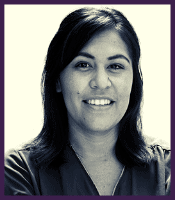 Mara Ventura – Mara is the Executive Director of North Bay Jobs with Justice, a coalition of more than 20 local labor and community organizations dedicated to building power for workers across the North Bay. Before North Bay Jobs with Justice, Mara was a labor union organizer for 6 years, supporting workers in various industries including homecare, healthcare, security and janitorial services. Mara spent 5 years organizing students in post-secondary education to fight for student parent childcare, veterans support, student loan reform, and for immigrant rights across all fronts. She’s helped 500 waste workers win a union contract and raise environmental standards, and is working with a coalition to pass Zero Waste Ordinances city to city across Sonoma County. She’s also launched a Workplace Raid Defense program, and partnered with two other grassroots community organizations to create a fire relief fund for undocumented immigrants called UndocuFund. M assey Burke – Massey is a natural materials specialist in the SF Bay Area. Her work centers on research, design, and hands-on implementation of building with low-carbon, natural materials, with an interest in applying natural building to existing buildings and the urban fabric. She teams up with organizations like the California Straw Building Association and the Ecological Building Network to generate technical information on carbon and natural materials in the built environment, and works on code issues surrounding natural materials through the Cob Research Institute and other collaborators. Nichole Warwick – Nichole is a mother, educational psychologist, and environmental health advocate. 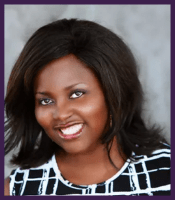 She has been working with youth and families for over 22 years in the fields of education and psychology. She is passionate about environmental health and toxics research and deeply concerned by the environmental and social injustices impacting health, especially children’s health. She expanded her career to address the issues around toxicity and children’s health. She serves on the Ceres Community Project’s Board of Directors, is Secretary, and advises on the Governance and Program Quality Committees. She is also the Executive Director of FACTS. 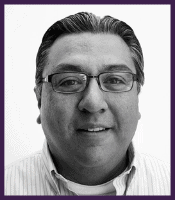 Oscar Chavez – Oscar is the Assistant Director of the Sonoma County Human Services Department. He oversees the County’s Upstream Investments Initiative, the Department’s planning, research and evaluation functions as well as community and client engagement. 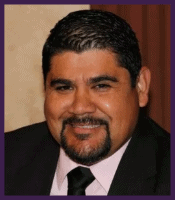 Oscar is the recipient of the 2012 Sonoma County Jefferson Award; 2012 North Bay Business Journal Non-Profit Leadership Award; and named one of North Bay’s “40 under 40” leaders by the North Bay Business Journal in 2008. Council Member Sarah Gurney ‘04 – Sarah has served the public since she moved to Sonoma County over 40 years ago: in non-profit, City, County, State, and Federal positions. 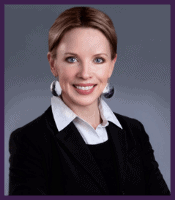 Trained as an attorney, she believes her more recent professional experience as a mediator, having started her career as a litigator, to be invaluable to her in office. Appointed to the Sebastopol City Council in 2004 immediately following her graduation from Leadership Institute, she has been the top vote-getter in each campaign for re-election. Sarah has walked door-to-door in her City every 2 years, not only for herself but also for other candidates, tax measures, and Sebastopol’s Urban Growth Boundary. To address climate change, she co-founded the Sebastopol Walks Program, now in its 11th year, and started the Bus Buddy Program to encourage use of public transit. 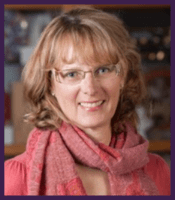 Council Member Una Glass ‘03 – Una has served on the Sebastopol City Council since June 2014. A well-known conservationist, she served as Executive Director of Coastwalk California for 9 years and was former aide to Sonoma County Supervisor Mike Reilly. 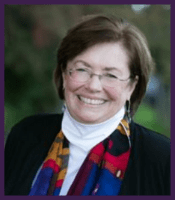 Una served on the Board of Sonoma County Conservation Action for 23 years, the County of Sonoma – Home Based and Family Owned Business Task Force, Sebastopol’s Community Development Agency and Downtown Plan Committee, and the Sebastopol Urban Growth Boundary Steering Committee. She was also a principle in several software and high-tech businesses for 30 years. 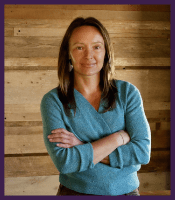 Caitlin Cornwall – Caitlin is the project director for Sustainable Sonoma, an unprecedented collaboration among interest groups to address ongoing challenges to Sonoma Valley’s people, economy, and environment. She also manages the Research Program at Sonoma Ecology Center, where she has worked for 20 years. Caitlin also leads climate adaptation and climate resilience efforts with the North Bay Climate Adaptation Initiative. A Sonoma County native, Caitlin has degrees in biology and botany. Elizabeth Goldman & Serene Cooper ‘09 – Elizabeth oversees Social Advocates for Youth’s core services of housing, counseling and career programs. She has worked at Social Advocates for Youth for 27 years, serving first as a Youth and Family therapist followed by Director of Counseling and most recently at Chief Program Officer. Serene oversees the Career Services programs at Social Advocates for Youth. A Fellow of the 2009 Leadership Institute, she is very passionate about her work and dedicated to serving youth. 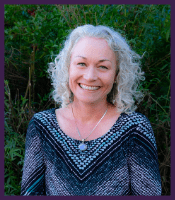 Jamie Nakama – Jamie’s deep passion for re-connecting humanity to the natural world was cultivated at the Hawaii Nature Center where she spent the past 18 years teaching, developing, and managing experiential, place-based, environmental education programs for children and families. She has extensive experience working with children and adults with specials needs as well as with at-risk youth. She is currently the Youth Initiative Manager at Landpaths. 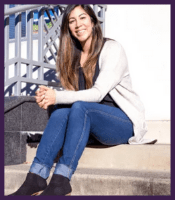 Her passion for teaching spans all age levels and includes over 10 years of experience teaching biological and cultural anthropology at community colleges in Hawaii and the Bay Area. Her classes always include a focus on the critical blend of indigenous knowledge and modern science in the context of climate solutions and sustainability.